The Southern Downs Regional Council has reminded the community that flying foxes are protected under State and Federal Government legislation. In a statement released this week a council spokeswoman said the council had planned to undertake flying fox management works this week to “relocate” a colony of flying foxes roosting in an area on Sugarloaf Road. But she said due to dependant juvenile black flying foxes being present in the camp the council is currently unable to undertake dispersal activities. 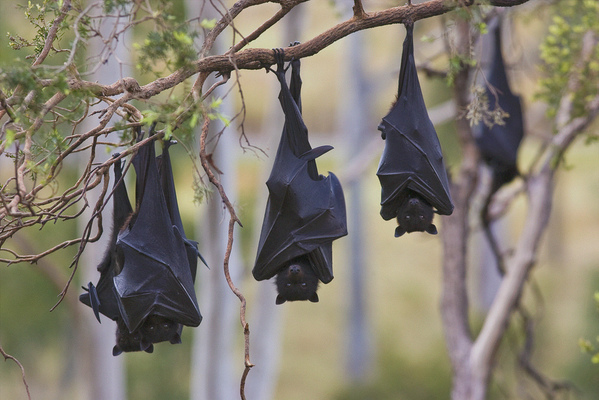 “Attempting to relocate flying foxes while dependent juveniles are present increases the risk of harming flying foxes which is strictly prohibited under Queensland Government legislation,” the spokeswoman said. “Disturbing bats during the day increases noise impacts on residents as they lift from roost trees and momentarily move to other areas. “It is also not recommended as adult bats will continue to return to juveniles at the roosting site. “SDRC will continue to monitor the colony and will reconsider an attempt to move the camp following maturation of the juvenile flying foxes. Councillor for Agriculture, Environment and Sustainability Cameron Gow said the council was “working to ensure best practice management of the colony”. “It is important to remember that flying foxes are protected under State and Federal Government legislation and there are significant penalties for harming them or unlawfully disturbing their roost sites,” Cr Gow said. For more information please Southern Downs Regional Council on 1300 MY SDRC (1300 697 372).